“Bumbo is just for little babies” you might say! No it’s not! Keep on reading. 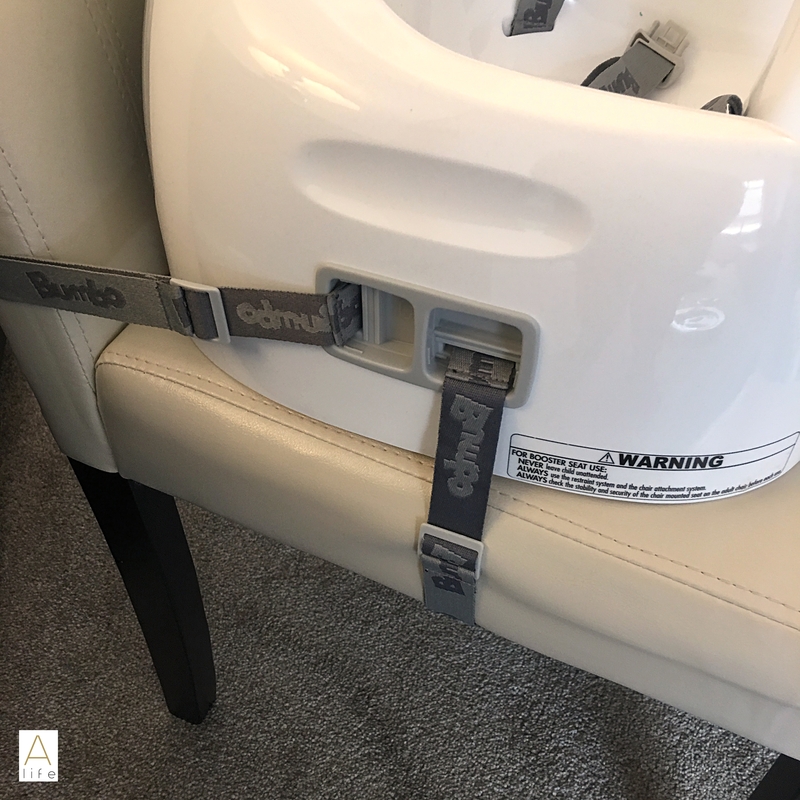 My previous experience with Bumbo was not great… At all! I bought a Bumbo seat when RJ was 6 months, just when he started to sit by himself, and started to wean. 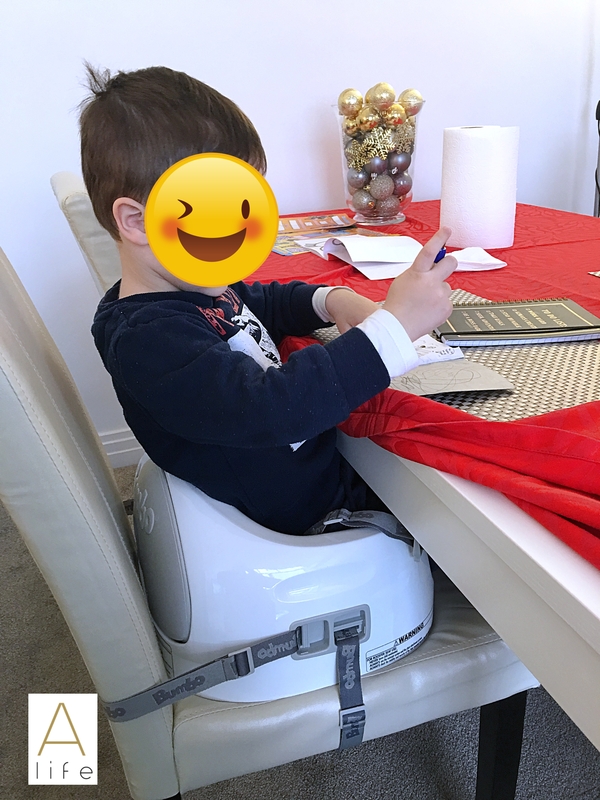 So it was actually a good idea to have him sitting on the table – I placed the Bumbo seat on the floor – and noticed that he would fuss about the Bumbo and actually didn’t wanted to sit there. I decided to sell it and not giving it a try again. This is exactly the kind of experiences that can turn a good brand into something not good, giving it bad reviews. But the fact is, that nowadays anyone can give reviews, good or bad, and Brands need to change or ameliorate their products, according reviews (the most intelligent ones and actually making any sense) or any customer experience or suggestion. That’s what happened with Bumbo. I decided to try some of their new products as you will see next, and if my opinion didn’t changed – I wouldn’t be making a giveaway, wouldn’t I? My Opinion changed to a very positive one! 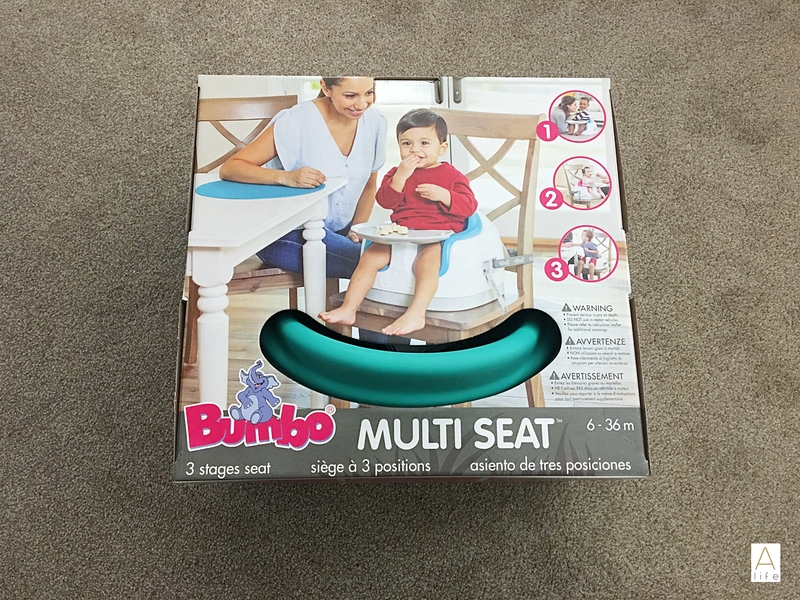 I only thought Bumbo has the seat for babies, honestly I was that person that thought they only had one product or even some accessories for that product. Now they have a bunch of products for any ages and any stages in their growth. RJ is 3 but still he is a Toddler going on his “terrifying 3’s” as I call it, he still won’t stand still on our Dining table or even can reach the table like an adult. I wanted a Booster to try out and this was the moment. 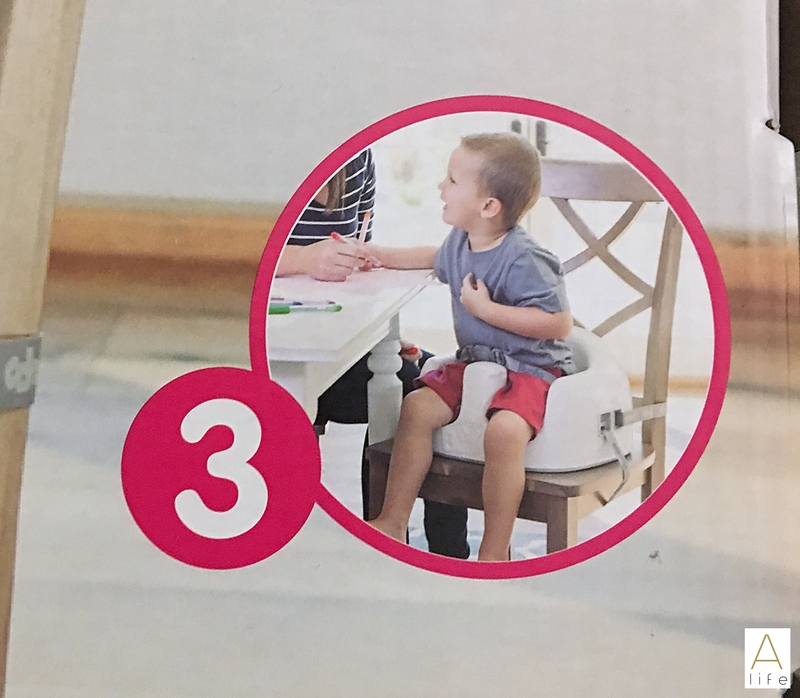 Bumbo Multi-Seat is a different version of the normal Bumbo seat, that grows accordingly with your child, it goes from 6 months till 3 years old. 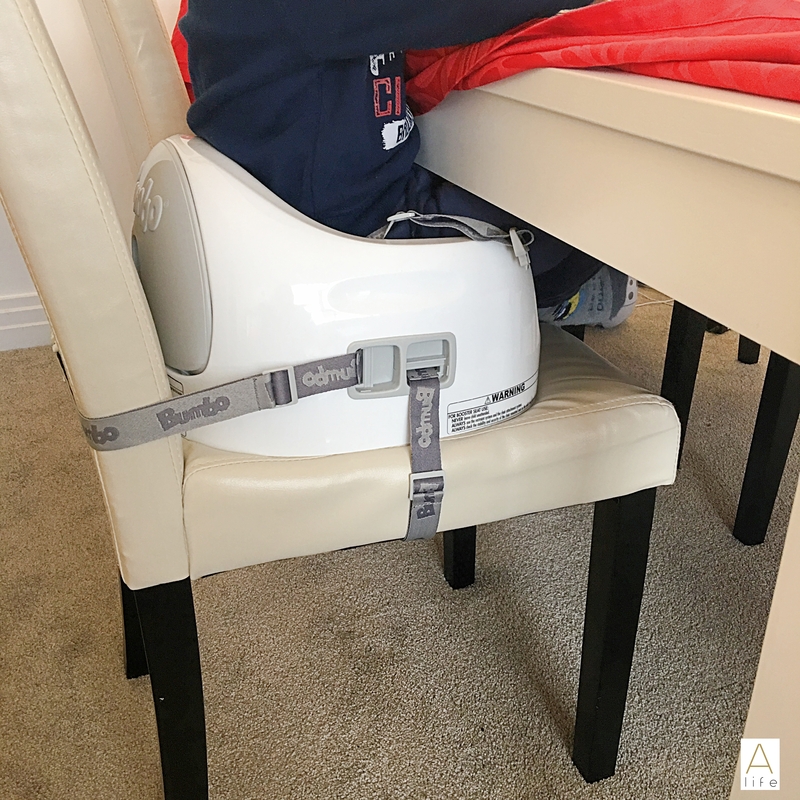 Starting with the cushioned seat for babies, that already can stand seated, the booster has straps to fix the booster to any chair and the child can be on the dining table with you and learn how to eat, sometimes by just watching the family eating. Then when they are older and the foam cushion is too small, the cushion can be removed easily and it will become a Booster seat. 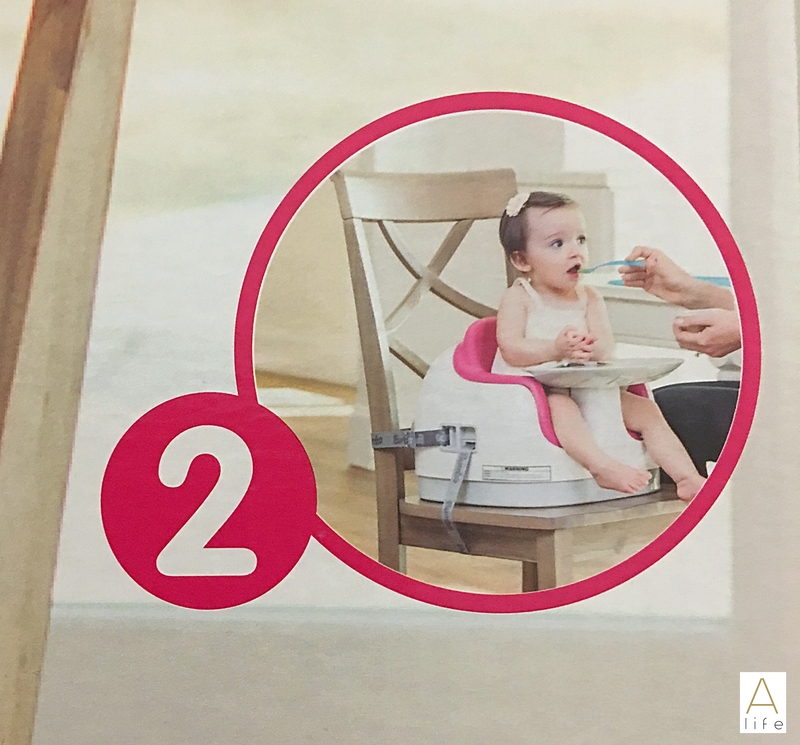 The Bumbo has evolved a lot and this multi seat is the product of that. Everything was thought in this. 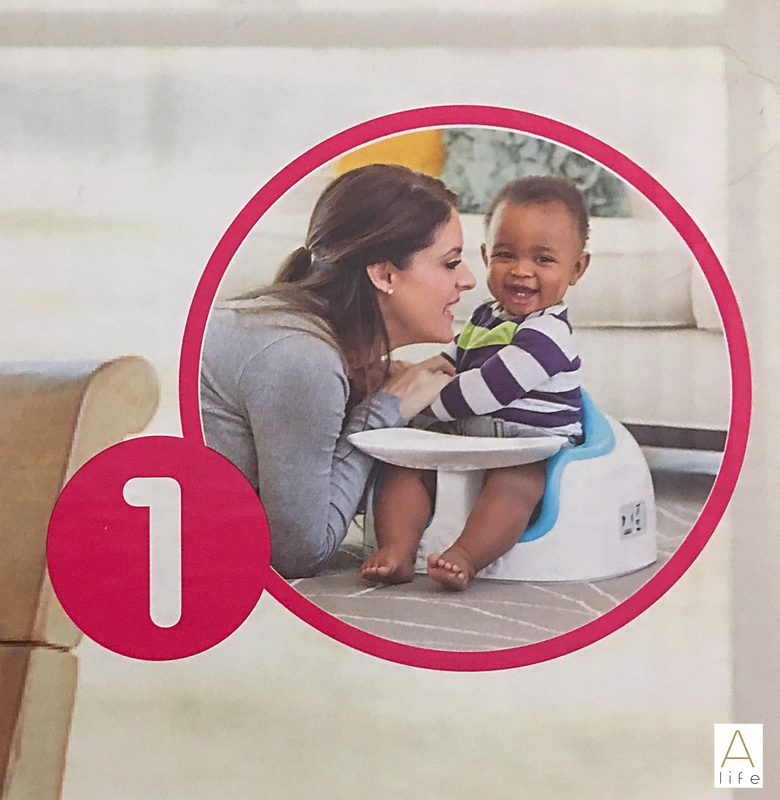 The tray is attached to the Booster itself, and can be used or keep away in the Bumbo multi seat, since the tray is built-in. Kinda cool actually! We loved it! I do love a product, specially a “piece of furniture” that is so practical and has multi uses. everything was thought on the design of the multi seat an the quality is amazing. RJ didn’t cried or fussed about it, and actually loves his seat. Nothing compared to the old one, this one is brilliant! When I saw this I literally had a Mind Blown moment. Why haven’t I thought about this?? 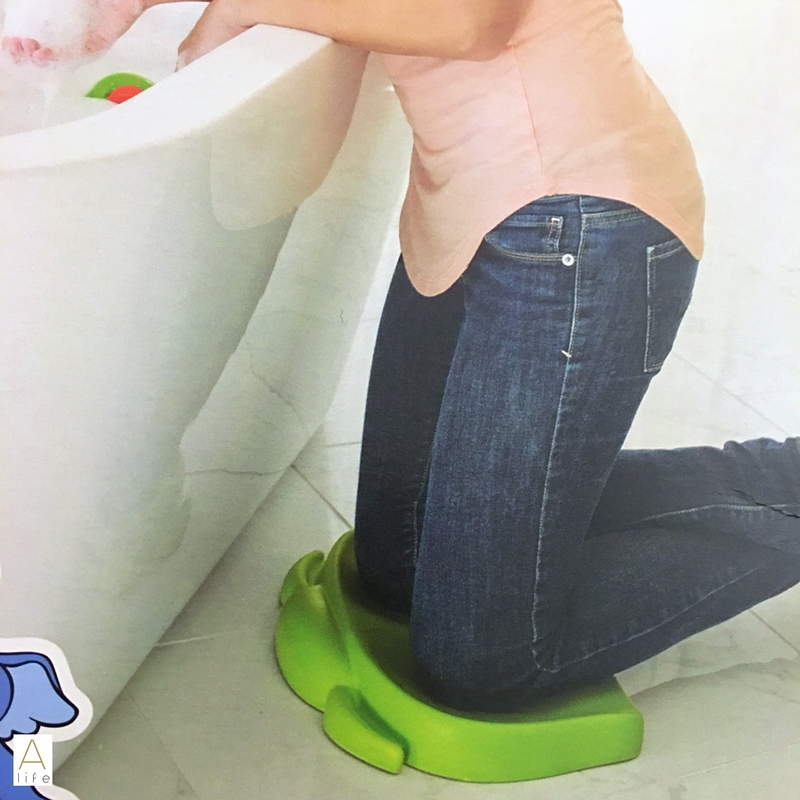 Mums and dads know, the pain of being kneeled near the bathtub to give a bath to our little ones. Since my bathroom has a fluffy carpet, still, my knees reminded me to put anything beneath them, otherwise I would stand up and walk like a 100 year old turtle. 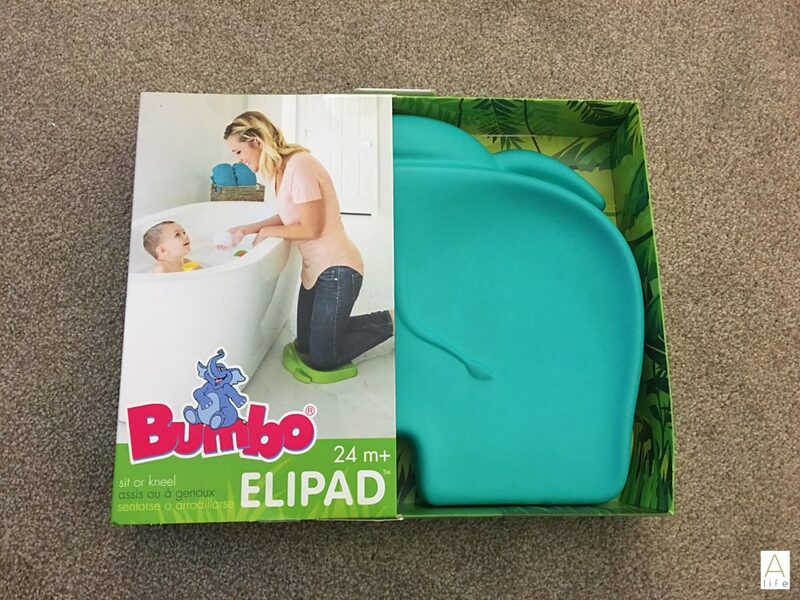 The Elipad is a foamy surface that helps you to either kneel or seat while giving a bath to your little one. It’s easy to carry, is a soft knee support or a comfortable seat, is lightweight and also easy to clean and put away, keeping everything tidy and organised. – my kinda thing! Super practical and affordable as well. No more bones and cartilage screaming for help. I said to myself that this would be a great gift for a Baby Shower or in the baby list. This is literally the cutest and practical thing ever I have seen. As the name suggest it, is a step and a potty, but it’s actually 3 things. 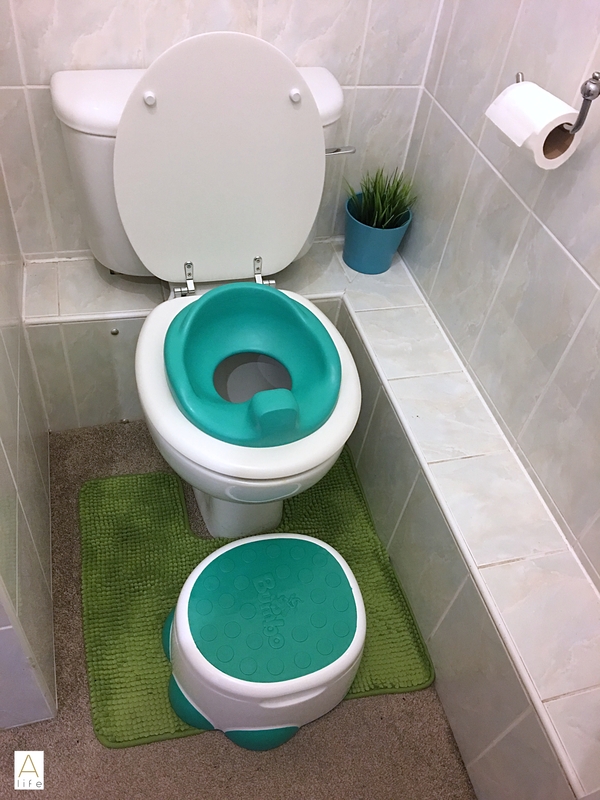 In the shape of an elephant foot, this comfy potty can converts to a toilet seat and a step to help on the toilet or even to wash the hands in the lavatory. 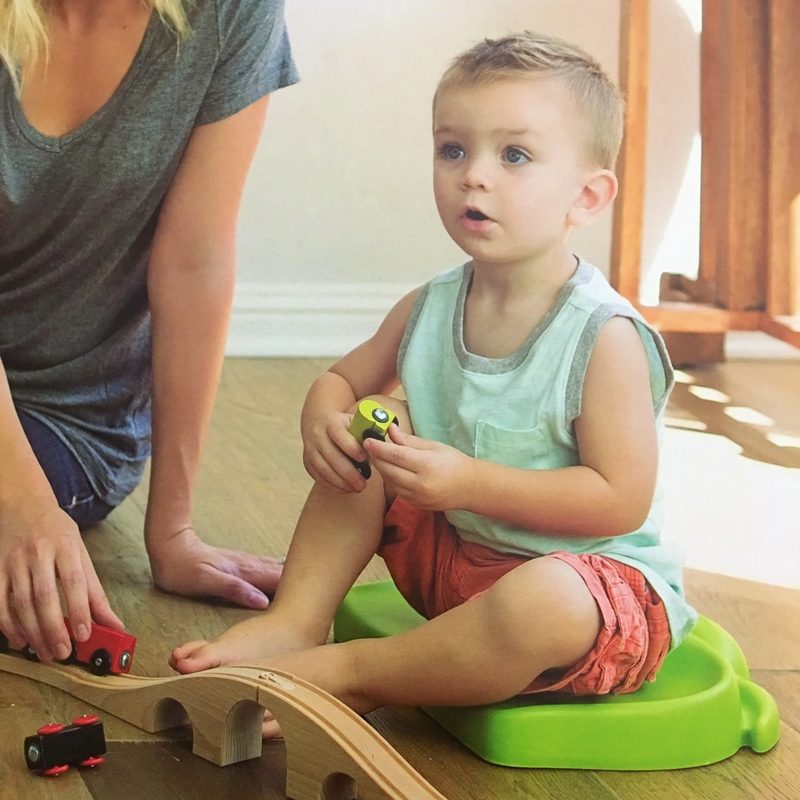 It grows or adjusts to your child needs or what he likes best – some children prefer the potty first and then change to the toilet, others just go straight to the toilet, so explain to your child the options and let him try. 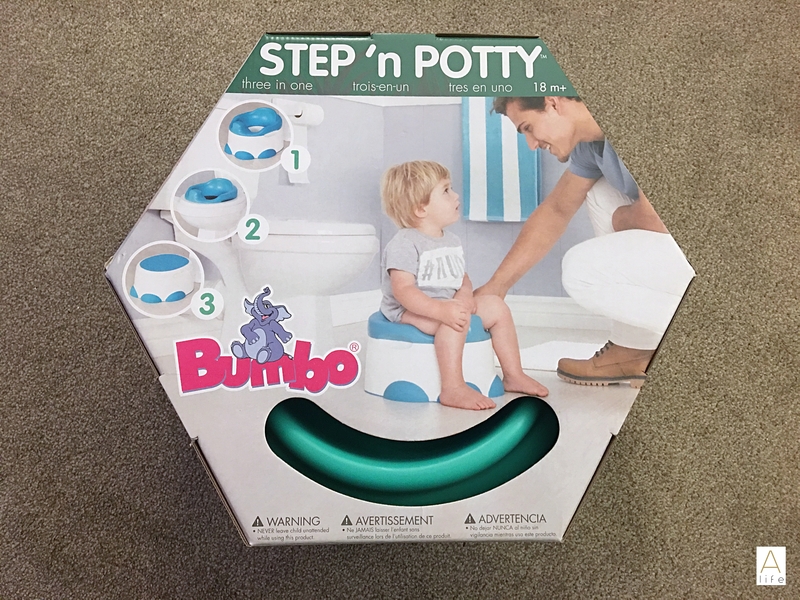 the seat is in Foam, very comfortable, and the step in a hard good quality plastic, with foot grips so your child won’t fall off from the step. 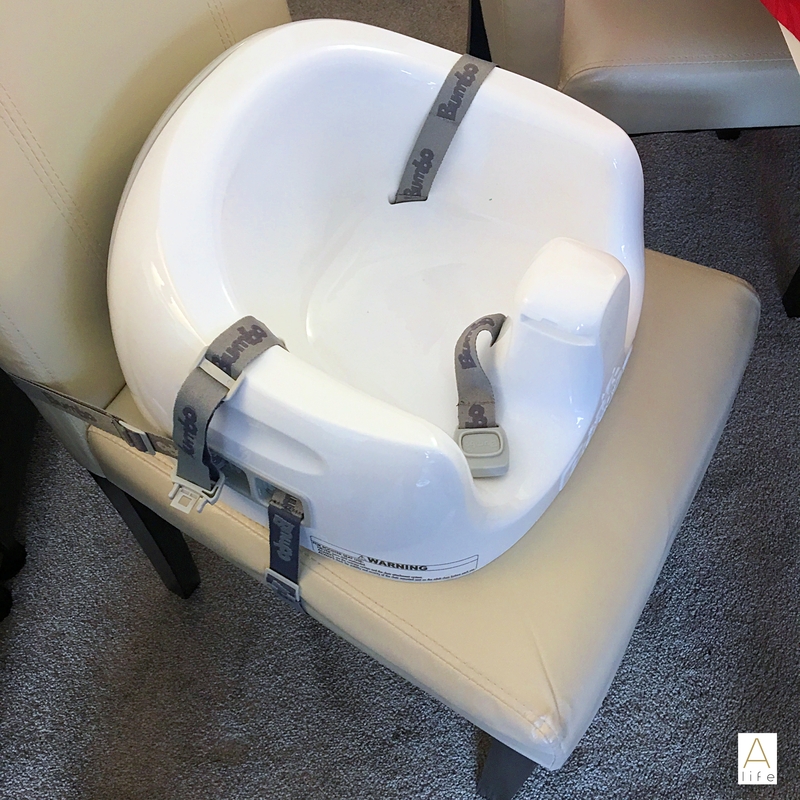 This toilet seat was the only one I found on the market that actually fits on my toilet seat without any gaps, raising Rj’s confidence in sitting on the seat. Potty training is one of the big steps in any child (and parents… it’s not easy in the beginning). I am in that process with RJ. 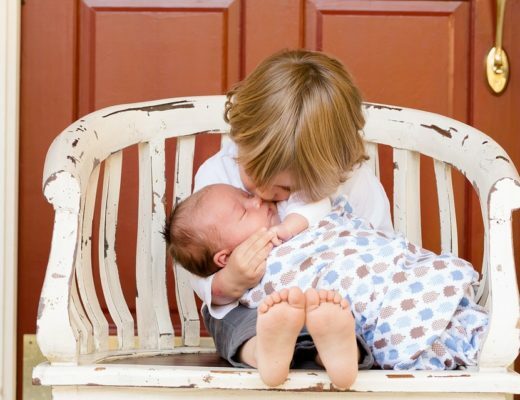 Patience is needed, and a lot, but the little ones need to learn on their own time. No need to rush if he is 3 or 4, just because society or grandma told you to! None of that. Let children set their time. One of the problems in our society is exactly that: rush everything and create emotions such as anxiety and low self-steem, just because the “neighbour” done it. I don’t believe in that type of parenting, at all, and as the paediatrician said, which I loved it: “No one goes to Uni with a nappy (diaper) or a dummy!”. RJ started in the potty but because of his nursery has the toddler toilets, he is now choosing the toilet, so this was the result using the Step and potty. We have a bathroom just for him, so he is comfortable. Yes they do need a push, like asking several times if he wants to go to the toilet and helping him to get there, accompany him, but he will get there. Again, he will understand that at his own time. Definitely must have for any toddler. Super practical in every aspect and affordable since is comfortable and you don’t need to buy things in separate, whatever he chooses to use. Cleans easily since, as a potty, the interior deposit, where the poo and wee stays, can be taken off and wash alone. No need to wash the whole potty. Brilliant! As promised! 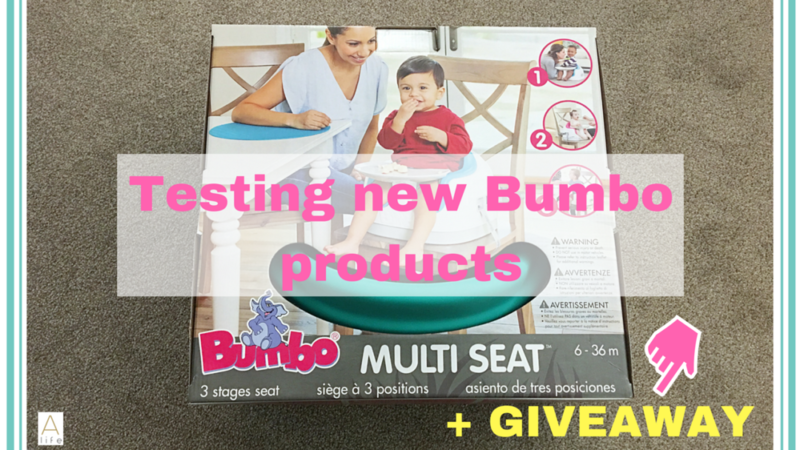 I have Multi-seats from Bumbo to giveaway! For that be sure to enter below. announced Monday the 29th of January 2018! Buying Shoes for Toddlers… The quest!